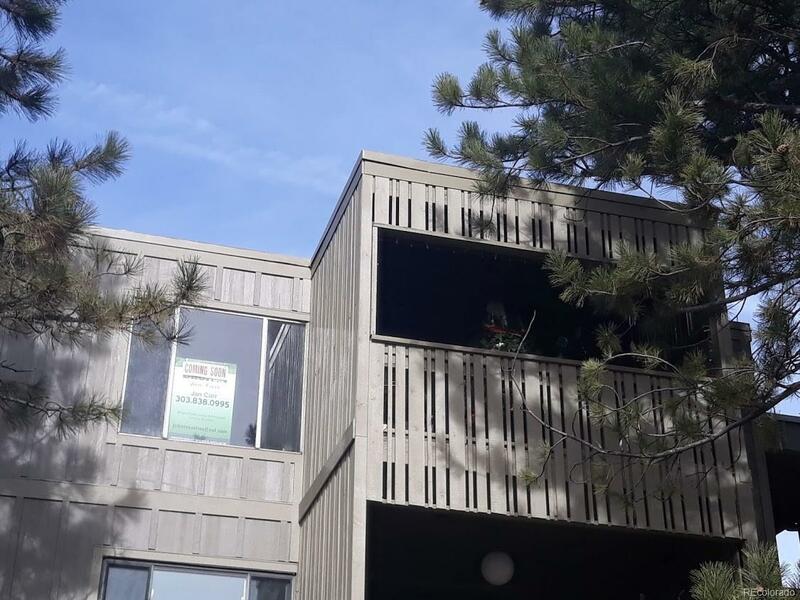 BRIGHT AND SUNNY PENTHOUSE IN A GREAT SOUTHEAST DENVER LOCATION. THIS HOME PRESENTS BEAUTIFUL VIEWS OF THE CONTINENTAL DIVIDE WHILE OVERLOOKING HIGH-LINE CANAL AND CHERRY CREEK COUNTRY CLUB GOLF COURSE. THERE IS A HUGE OPEN SKYLINE PATIO FOR ALL YOUR OUTDOOR COOKING AND ENTERTAINING. OFF THE LIVING ROOM, THERES AN INTIMATE COVERED DECK OVERLOOKING PINE TREES, MOUNTAINS AND GOLF COURSE. THE LIVING ROOM HAS TRADITIONAL WOOD BURNING FIRE PLACE, BOOKCASE WITH ELECTRICAL OUTLETS, BEAMED EIGHT AND A HALF FOOT CEILING AND ENTERTAINMENT CENTER AREA.THE KITCHEN HAS BEEN UPDATED WITH GRANITE COUNTERS AND NEW STAINLESS STEEL APPLIANCES. THE SPACIOUS MASTER BEDROOM HAS A PRIVATE UPDATED EN-SUITE BATH. BOTH BEDROOMS HAVE WALL LENGTH TRIPLE CLOSETS. CONVENIENT COVERED PARKING FOR ONE VEHICLE WITH AN ADDITIONAL APPOINTED PARKING SPACE. SECURE STORAGE ROOM INCLUDED. Offered by Broker One Jan Carr.